Last year, two riders were killed after leaving the Augusta Civic Center. 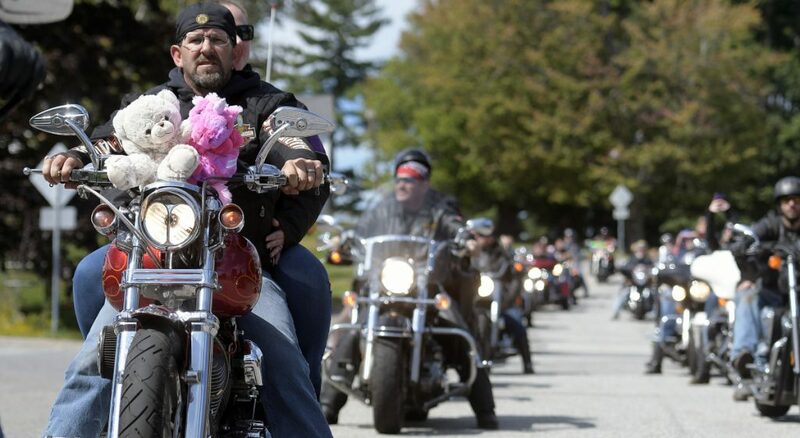 AUGUSTA — A year after tragedy, the annual United Bikers of Maine Toy Run went smoothly Sunday, with close to 1,000 bikers leaving the Augusta Civic Center shortly before noon, and arriving at the Windsor Fairgrounds with stuffed bears, plastic ponies and countless other toys to donate. That outcome was a marked contrast from last year, when two riders were killed after leaving the Augusta Civic Center and getting into a crash on northbound Interstate 95. The success of this year’s ride came after police and organizers agreed on a new route that avoided Interstate 95 and instead sent riders to Route 3 along Townsend Road and West River Road. At the same time, Augusta police closed the route to other traffic. Lyle estimated that between 800 and 1,000 people participated in the ride, which has been held for the last 37 years. He said that turnout was “about average.” Last year, though, organizers estimated that well over 1,000 riders participated. Every year, the event brings in thousands of toys for children in need. Once the toys are collected, Lyle said, partner organizations distribute them in each of Maine’s 16 counties, as well as its tribal nations. 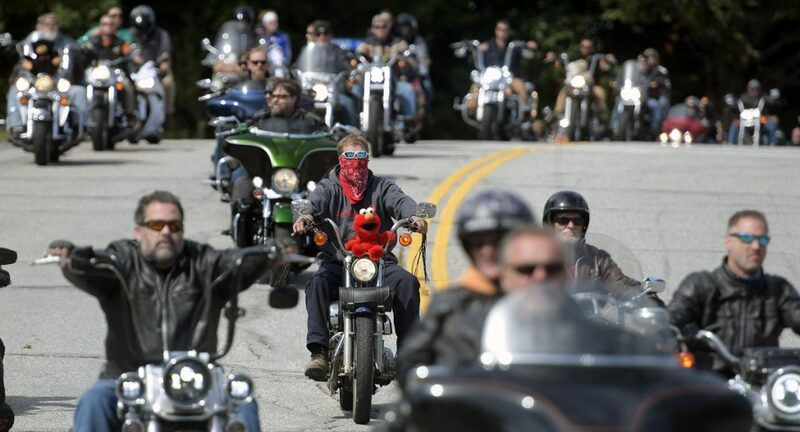 Last year, two motorcyclists participating in the ride were killed. After they’d merged onto the short stretch of Interstate 95 between Civic Center Drive and Route 3, a truck collided with multiple motorcyclists, including the two who died. Eventually, police determined that one of the riders had caused the chain-reaction crash. Before the ride Sunday, several riders said they believed the new route would be safer. Close to 1,000 bikers left the Augusta Civic Center shortly before noon and arrived at the Windsor Fairgrounds with toys to donate. This year, Williams was riding with several friends and family members, including his daughter and niece, and was planning to donate a green plush unicorn that also matched his hair. He hoped the event would help some needy children and also raise awareness about the need for drivers and motorcyclists to exercise caution. Last year, Williams’ group was riding just a couple of motorcycles behind the fatal accident. While it wasn’t a factor in that crash, he said that distracted car drivers have become a greater concern in recent years, particularly given the rise in cellphone use over the last decade. Reached on Sunday afternoon, Lyle said organizers were still counting how many toys had been donated. In addition to what the motorcyclists contributed Sunday, the Darling’s Chrysler Dodge dealership in Augusta also made a large donation of toys, bicycles and about $15,000 that was raised at a car show on Saturday.